For 2015 the Pagan Weekly News seems to have a theme of tackling broad and controversial topics. This week’s edition is no exception. RevKess and KaliSara have their passions. Environmentalism and conservation could be said to be on their mutual list of passions. KaliSara is very passionate about the topic of Climate Change. In this week’s PWN she and RevKess attempt to tackle that hot (no pun intended) topic. With humor and good natured debate, they do just that. In 2006 former Vice President Al Gore published his book on environmentalism and climate change, An Inconvenient Truth. This launched a very public debate about climate change and brought out the climate deniers. Both hosts have read the book and seen the film based on the book. A year before, feminist and environmentalist witch Starhawk released her The Earth Path. Another book that both hosts have read. In Starhawk’s book she talks about living off the grid, getting in touch with the Earth and respecting the Earth. Through out the show KaliSara and RevKess talked about fracking and the dwindling supply of such fossil fuels as oil and coal. They also spoke of alternative energy sources such as solar, wind, and hydro-electric. Along the way KaliSara brought up chaos theory and how sometimes the simplest act can change the world. Referring to the “butterfly effect” as describe in Jurassic Park they addressed some of the cause and effect of human practices on our environment. Time did not allow for a full discussion of how the “little things” we do to conserve Mother Earth can have a true effect on our future. On the individual level, we can install solar panels, wind turbines, and hydro-electric systems in our homes or on our land. Starhawk, for example, uses both solar and hydro power to electrify her home. When RevKess asked KaliSara what the likelihood of her installing such alternative power sources on her own property would be she responded “100%”. These are little things, in the grand scheme. But if more and more people took these options we could see some effect on the lifespan o the human race on this planet. Like the cartoon to the right says, despite everything we do to destroy or heal the Earth, it will still be here when we are gone. On a larger level, many businesses and even governments are beginning to install solar, wind, and hydro power sources on buildings and large plots of land. Despite what some “experts” claim, these alternatives do not take away from the resources – the Sun’s power is limitless (by human standards), nothing can truly stop the wind, water will still flow. Ever been to a large city with high rise buildings? The wind gets channeled between those buildings and if anything gets stronger through that channeling. Burlington, VT uses alternative/renewable energy to supply power to the people. Denmark is the first country to use alternative power to supply electricity to its citizens. Alternative energy sources expected to go down up to 40% in cost of production. 5 countries making head way toward alternative sources. In 2012, an article on Keystone XL Pipeline and Tar Sands Expansion. The Kalamazoo River oil spill. Climate change is happening faster than predicted. The Pagan Weekly News for thursday 29 January 2015 found RevKess and KaliSara trying to tackle the general theme of Controversy in the Pagan World. Not an easy task. They began with a brief conversation about political conroversies in the United States and moved on talking about the stolen and desecrated statue of Manannan mac Lir in Ireland before moving into talk about #BlackLivesMatter and the Covenant of the Goddess missteps in addressing that theme. If Jeb Bush runs for President in 2016 he has to deal with gay bears owning a domain that he would normally want to use. House Republicans propose bill that would mandate ultrasounds before abortions. The BBC reports on a statue of Manannan mac Lir being stolen. BBC reports local police are looking at religious link to the theft. Irish Pagan priest calls the theft a religiously motivated hate crime. Pagan musician and activist, Celia, writes and records a song for Manannan in short order. Covenant of the Goddess and other Pagan organizations release statements on racism in November and December of 2014, in response to repeated reports of police brutality and excessive force. Peter Dybing, writing on his personal blog Pagan in Paradise, issued a social indictment of CoG. That post has since been removed from his site. An earlier post on the topic of #BlackLivesMatter and the CoG statement cane be found here. CoG issued a revised statement pending consensus vote in August 2015. Peter Dybing writes again on the issue of minorities in Paganism. This one didn’t make it onto the show. Heartland Spirit Festival has competition with the new Gathering of Pagan Souls on Memorial Weekend outside Kansas City. Crystal Blanton returns to Pagan-Musings to talk about her new anthology Shades of Ritual. Crystal last visited with KaliSara and RevKess in 2011 to talk about her anthology Pain and Faith in the Wiccan World (please note, RevKess misspoke as to when Crystal was first/last on the show). Both this new anthology and her earlier edited work Shades of Faith share essays and personal experiences from several Pagans of color. In late 2014 or early 2015 another anthology will be released that talks about race issues from several Pagan perspectives, Bringing Race to the Table. Crystal will be visiting with the hosts again for that release, perhaps with her co-editors. In a first for PMPChannel, five of the contributors to the anthology, including Crystal herself, joined in the conversation. In this special three hour edition of Pagan-Musings you will hear from these contributors about being a Pagan of color. You will also hear the white folks on the show, RevKess and KaliSara, ask questions in an attempt to get a better understanding of what it might be like to be a person of color in the Pagan world. 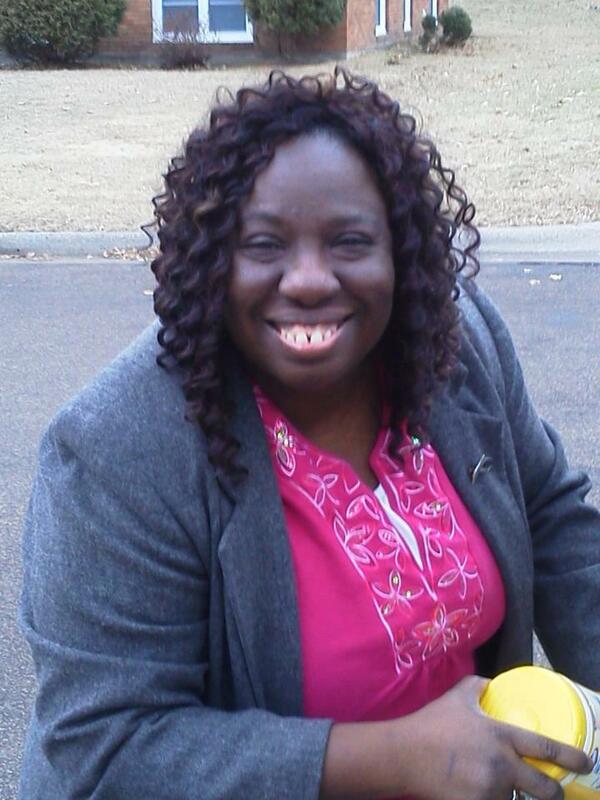 Crystal Blanton is an activist, writer, priestess, mother, wife, and social worker. She is a advocate for true diversity and multiculturalism within the Pagan community. Crystal is the author of Bridging the Gap and Pain and Faith in a Wiccan World, and the editor of Shades of Faith: Minority Voices in Paganism and Shades of Ritual; Minorities Voices in Practice. She also writes for The Wild Hunt, Sage Woman, and Daughters of Eve, a community blog on Patheos.com. A frequent speaker at Pagan conferences and festivals, and in her professional life, she serves disenfranchised youth in Oakland, California, while studying for a master’s degree in social work at a California State University. Luna Pantera is a native San Franciscan and mother of an amazing 24 year old. She is an out of the Broom Closet Witch, professional tarot reader, Navigator at the Cross Roads, Master Reiki Practitioner, and body worker specializing on adult survivors of sexual assault. She currently works at the Mystic Dream in Walnut Creek, CA. She is the founder of Theatre of the Ancestors. She is a feature author in the anthology, “Shades of Faith; Minority Voices in Paganism,” and is currently working on her forthcoming trilogy, “Both Sides Now.” She co-facilitates retreats up to Mount Shasta. BlackWitch : Olivia Haynes writes Black Witch, a blog centered on the intersection of being Black and Pagan. She also currently resides in her hometown of Baltimore City, MD. Clio Ajana is a high priestess, Hellenic Alexandrian tradition and Director of Education, E.O.C.T.O. She is deeply passionate about numerology, astrology, and writing as a spiritual practice. A writer for Daughters of Eve, her current projects include a work on the individual’s quest for a spiritual home, a second work on the intersection of racism, homophobia, and religious non-acceptance in modern society.and an exploration of eldercare in Paganism. Szmeralda Shanel MA is a visual, ritual and performance artist. She is an initiate in the Anderson Feri/Faery tradition, a founding member of CAYA coven and an ordained priestess of Isis/Auset with the Fellowship of Isis and the Temple of Isis. Szmeralda is the founder of The Iseum of Black Isis, an iseum dedicated to Goddess Spirituality and Sacred Arts. She currently lives in Chicago, IL and works as a teaching artist, expressive arts therapist/facilitator, and tarot reader. Alisa Kuumba Zuwena (passed away before the book went to press), Crystal read an exert from Alisa’s contribution so that her “voice” could be heard during this broadcast. Unpacking the Invisible Knapsack by, Peggy McIntosh was cited as a resource by all five guests. 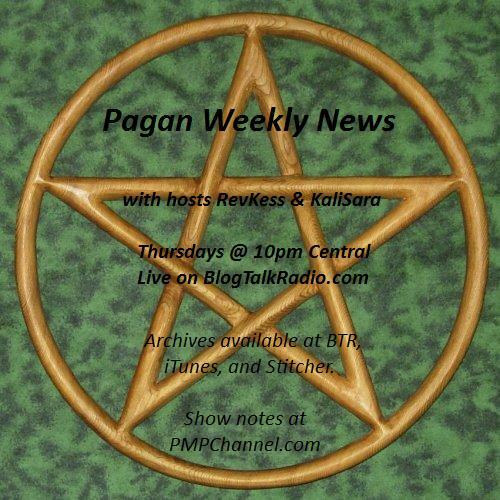 The Pagan Weekly News is, as the name implies, a weekly news program from a Pagan perspective. Over the years the show has moved around a lot on the weekly calendar, but RevKess and Zaracon strive to bring the listener the news in a timely manner. At its current day of the week, PWN is trying to settle into a new routine. The time of the live broadcast may continue to fluctuate, but for now it will be on Thursdays. Just in time for Throw-Back Thursdays, KaliSara has been posting links to past episodes of programming on the Pagan-Musings Podcast Channel. You can follow those listings through our Facebook page of the channel or by following RevKess on Twitter. This week’s TBT episode is Herbs and Some of Their Uses from 6 February 2010. Might be time to revisit the topic. Pagan Pride Day season is about to start. It officially runs from August 1 through October 31st. With events all around the country, some states having more than one event, and reaching across the globe, PPD is quickly becoming one of the largest and most popular Pagan outreach celebrations. One of the largest PPD events in the world is held the first Sunday of August every year since 2009. the UK’s PPD is in Central Nottingham with over 1500 Pagans attending and more coming every year. With any luck maybe one or more of the PMPChannel hosts can make it to one of their local PPD events. One aspect of PPD is something akin to interfaith outreach. In the interest of interfaith work, Dr. Karl E.H. Seigfried guested on a Muslim, A Hotchpotch Hijabi in Italy. Dr. Karl writes the award winning Norse Mythology blog. KiVo instructor and musician Lis Addison has a big announcement. Learn more about how you can help further her good works. Extremist Christians in the United States stepped away from any semblance of interfaith work and disrupted a church service in New Orleans to protest abortion. Operation Save America has been visiting New Orleans this week as part of their annual conference. On Sunday the 20th of July many of them attended services at the First Unitarian Universalist Church, interrupting the service and exposing the youth of the church to disturbing images, the kind commonly used by anti-abortionists. RevKess got up on his soap box for a little while on abortion. A UU minister in Missouri wrote about the incident in NOLA. On Wednesday 23 July 2014 the State of Arizona executed Joseph Wood. A rather botched execution. 117 minutes from the time the lethal injection was administered Wood died, choking and gasping the whole way. RevKess got up on his soap box for a little while on the death penalty. In a dissenting opinion, one judge writes about alternatives to lethal injection – thanks to a live listener for sharing the link. Over on Patheos this summer there has been a conversation about environmentalism and whether Pagans are truly doing their part. Taylor Ellwood has this article on the Agora forum, you can read more through this page. On the news end of things, RevKess wrapped up with the story of a Colorado judge ruling the 2008 DOMA law in Colorado as unconstitutional, following suit with other judges he stayed his ruling pending appeal. George Takei talks frankly, with some humor, about his experience in the Japanese-American internment camps during WWII. Conflicts in the Middle East are putting priceless archaeological treasures at risk, including a recently discovered mythic temple of Musasir. Frenchy and the Punk will be in Omaha on 31 July 2014, Thursday. They will be performing at the Barley Street Tavern with Anonymous Henchman. SJ Tucker and Betsy Tinney will be in Lincoln on 19 August 2014, Tuesday. They will be performing at the historic Ferguson House, a concert sponsored by KZUM and the Wayward Concert Series through the Unitarian Church of Lincoln. KaliSara and RevKess were joined by guests Lupa Greenwolf, Arthur and Shauna Aura Knight for a conversation of ecology and environmentalism from a Pagan perspective, that is from FIVE Pagan perspectives. And what varied perspectives they are! Though all five were pretty much in agreement on the necessity of making changes in how humans interact with nature and their environment, they each brought a different way of looking at how to make those changes. The discussion included talk of the future, working with nature – not against, food costs and other issues. Not necessarily in the order they were brought up on the show. KaliSara launched the discussion with a reference to a NASA study that has been bandied about on Facebook and other social media outlets. Lupa brought up the book Last Child in the Woods by author and ecologist Richard Louv. Louv has written many books on ecology and is a favorite go-to reference for Lupa and others when discussing the topic. His latest book The Nature Principle talks about how a sustainable future can be made possible through nature-smart education. We had hoped to have Peter Beckley join us in conversation, but his broadband was too narrow to connect – living as far off the grid as possible can sometimes do that. He was in chat and shared his thoughts with other chatters, including a link to a permaculture training website. Arthur referenced an interview with singer-songwriter and animal rights activist Moby in which he said that the actual cost of beef in the United States is over $30 a pound but that government subsidies have made it so that the consumer is only visibly paying $3-5 a pound. Note the word “visibly”. Tax payer dollars are used to pay those government subsidies. RevKess found an article on NaturalNews.com from 2011 that sited a non-subsidized cost of $20/pd and KaliSara found one on Big-Medicine.org from 2006 that backs Moby’s claim. The article on NaturalNews indicates that when you factor in the long term environmental and medical costs of subsidized beef could raise the cost per pound to over $200. From beef to aspartame. KaliSara is a huge proponent of being natural with your foods – including your sweeteners. She referenced a 2002 study by the FDA (Food and Drug Administration) that indicates that aspartame can be linked to multiple physical and mental health issues, from hearing and vision loss to seizures, from memory loss to dementia. RevKess can attest to some of that, he has experienced loss of concentration and memory retention when consuming beverages that contain aspartame. Some how or another the topic turned to women shaving their legs and arm pits and the “necessity” of deodorants. At which point Arthur, who is very good at trivia, pointed out that a World War II propagandist for the Allies had something major to do with the U.S.’s obsession with shaving, masking scents in the pits and even “flower vomit” detergents. Edward Bernays, nephew of Dr. Freud. Shauna brought up an article on Cracked.com about five byproducts of modern living and how we are burying ourselves in garbage. KaliSara and her “flower vomit” detergent thread in the conversation led to the mention of alternative laundry machines and dryers. Shauna referenced towards the end of the show an article on PaganActivist.com by Jason Morrow on Cognitive Dissonance. Both Shauna and Lupa made mention of the disconnect that many people have from Nature. It did not come up on the broadcast, but early in the chat conversation KaliSara shared a link to a USA Today article about the Tesla electric car and how it has been shown to be viable for more than in-town and short-distance driving. At some point in the show Arthur mentioned the common crop of corn in Nebraska and elsewhere in the Midwest and how it requires a huge amount of water to cultivate. KaliSara shared this link regarding corn in chat with our live listeners. During the laundry and cleaning tangent, RevKess mentioned that he uses tea tree in his laundry. KaliSara shared in chat a link on growing your own tea tree plants. As has been established, Lupa is a prolific blogger and author. In July 2013 she published an article through the Pagan Newswire Collective’s nature bureau. She asked us to share it here as well. Three things many people buy at the grocery store that they DO NOT need. It was decided at the end of the show that all three of the guests, and maybe some others, should come back in the near future to do a second installment and talk about the spiritual aspects of ecology and environmentalism. That date has not yet been set. Check back with the BTR site for updates on scheduled programming. RevKess and KaliSara call it as they see it in this edition of Pagan-Musings Podcast. Inspired in part by a blog entry on Radical Wind, your hosts stroll down the lane of radical thinking. The hosts did not set out to bash on Witch Wind or even on Z Budapest, but to call them out on the hypocrisy of their words and how those words hurt more than heal. They also covered some of the intersections of discrimination. The thrust of the topic addresses “intersectionality”. Wikipedia’s article on intersectionality begins: Intersectionality (or Intersectionalism) is the study of intersections between different disenfranchised groups or groups of minorities; specifically, the study of the interactions of multiple systems of oppression or discrimination. KaliSara and RevKess would like to say thank you to their friend Arthur for sharing much of the below listed articles as well as many more. Toranse gives us some good advice on how to give advice to survivors: Don’t! Trudy on Gradient Lair talks about 2013 as a year of white supremacy and racism in mainstream feminism. Trudy falls into the category that KaliSara was describing in the show of straight-asexual. Reading her blog might help clarify a few things. Especially from the perspective of a WOC (Woman of Color). A transgender 101 from an IAOPOC perspective. Download site for a free anthology that came about after the Z Budapest uproar at PantheaCon.